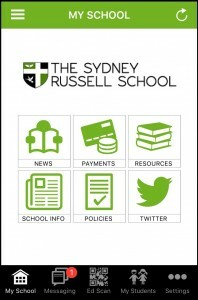 Sydney Russell School are announcing a new app for mobile phones, “MyEd” is a useful tool for parents and students to retrieve messages with important events and announcements directly from the school. Once again Sydney Russell is leading the way forward by bringing parent/school communication one step closer. View your child’s performance in school e.g. attendance, progress. Feel free to download the app from the App Store or Google Play respectively.